Island Gateway Holiday Park is the closest Holiday Park to Airlie Beach in the magnificent Whitsunday’s and is the perfect launching pad from which to discover pristine sailing waters and the wonders of the Great Barrier Reef. 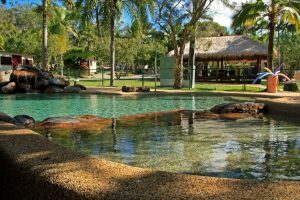 Island Gateway Holiday Park in Airlie Beach (part of the beautiful Whitsundays) offer an extensive range of accommodation styles and modern facilities to suit all budgets. Here you will find the perfect place to escape, relax and unwind in a cabin, motel room, bungalow or in your own caravan, motorhome or tent. 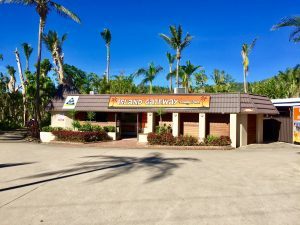 Our friendly staff here at Island Gateway Holiday Park have a vast knowledge of the local area, and are happy to provide you with information on the best possible way to make your Whitsundays holiday one to remember. To make things even easier, they can even make the booking on your behalf. 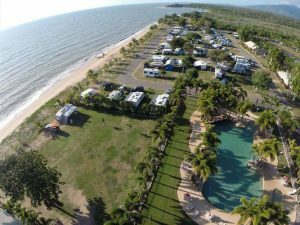 Why not visit our beautiful beachfront sister parks, Big 4 Rollingstone Beach Front Resort located at Rollingstone (north of Townsville) and Big 4 Beachcomber Coconut Holiday Park in South MissionBeach. 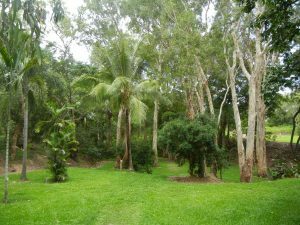 3 North Queensland Parks is a unique discount program between three holiday parks in northern Queensland. Stay with one of us to be eligible for a 15% discount on your stay at one or both of our other parks. Take a referral card from the office during your stay and have it validated by the staff to be eligible. Big 4 Rollingstone Beach Front Resort – absolute beach frontage overlooking Palm and Havana Islands. Our large resort pool allows guests to swim year round, and the park has three lakes set among the sites, full of our beautiful barramundi. We have our own bar/cafe with live music every Saturday night, modern amenities, a great camp kitchen for our guests, a kiosk, and a basketball court for the kids. Rollingstone is a semi-rural/residential suburb approximately 54km north of Townsville, Queensland and 57km south of Ingham, Queensland.Enjoy a barbecue on the beachfront under our rotunda or a family get together in the camp kitchen with four large barbecues, fridge/freezer, microwaves, toasters and large plasma television, modern amenities, disabled facilities, large resort pool with separate kids pool, and spacious sites. 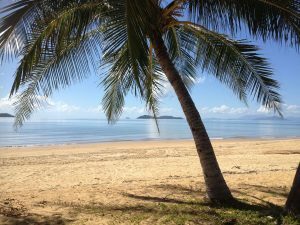 Big 4 Beachcomber Coconut Holiday Park – Absolute beachfront at South Mission Beach, with a view of Dunk Island and backing onto the World Heritage listed tropical rainforest/Cassowary conservation area, Beachcomber Coconut Holiday Park is perfectly positioned for your next holiday. Beachcomber Coconut is located at South Mission Beach, approximately 2 hours south of Cairns and 3 hours north of Townsville. 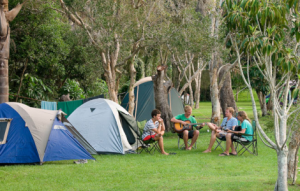 BIG4 Port Douglas Glengarry Holiday Park – We have accommodation types to suit your style. Choose between comfortable two-bedroom self-contained villa’s or ensuite cabins. Landscaped ensuite sites, all with concrete slabs and channel television hook-up. Large shady powered sites with water, channel television hook-up and the majority with dump points. Spacious, grassed camp area with two camp kitchens, providing free barbecues, fridges, hot/cold sink, seating, kettle and toasters. Guest laundry, unisex disabled bathroom, family bathrooms and dump point facility. Heated salt water pool with toddler wading area, seating and waterfall. Adventure water park with five slides, playground and jumping pillow. Tour bookings/pick up. Big 4 Capricorn Palms Holiday Village – Why not see the Capricorn Coast and stay with our Friends at Capricorn Palms holiday Village, only half way between Yeppon and Emu Park and 40 minutes from Rockhampton.We have lush grassy sites with the option of shade available for holidaymakers and long-term hire. Choose from powered or unpowered, pitch a tent, bring your caravan or motorhome and create vacation memories that will stay with you for a lifetime. For more than 30 years, Top Parks have been giving the traveller the opportunity to tour our great country by offering family friendly caravan and holiday parks where you are welcomed by a smile and every endeavour to make your stay as pleasant as possible. Each of the member parks reflect the environment in which they are located and offer the traveller a vast range of options. 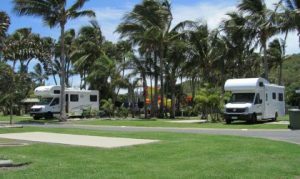 Top Parks is Australia’s largest group of holiday parks in Australia and offers choice for travellers with three styles of parks – Top Caravan, Holiday and Resort Parks. 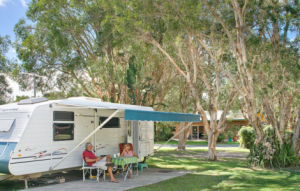 A nationwide caravan park chain with over 200 member parks around Australia. You are never far from a Top Park. At Discovery Parks, We are committed to providing you with the best holiday experiences in the country – good times and great memories. As the largest owner and operator of lifestyle holiday parks in Australia, we understand what you are looking for in a location. 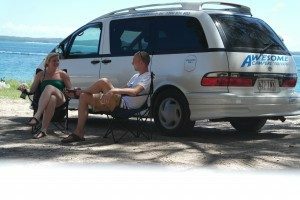 Since the inception of our holiday park group in December 2004, we have sought out the most outstanding parks in the outback, on the waterfront or alongside national parks all across Australia. Discovery Parks has over 60 parks around the country.https://www.discoveryholidayparks.com. Why not try free and low range Camping, from National Parks, to rest areas, show grounds and camp grounds. We have selected some websites that will help you on your travels. 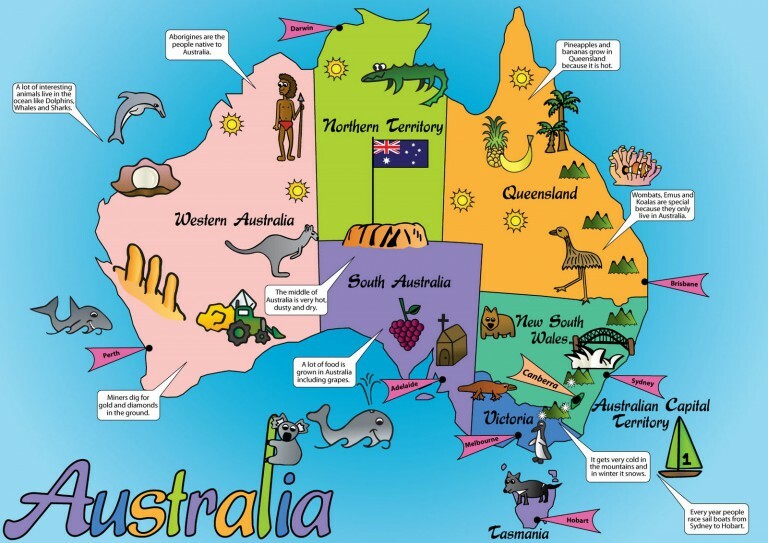 So take your Awesome Camper and explore Aussie.